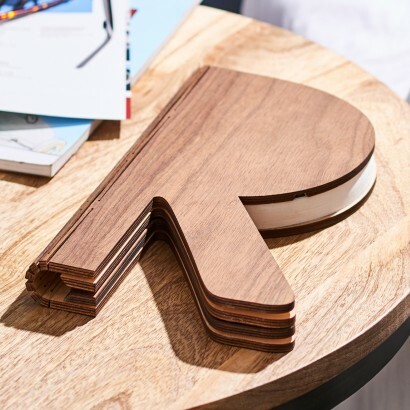 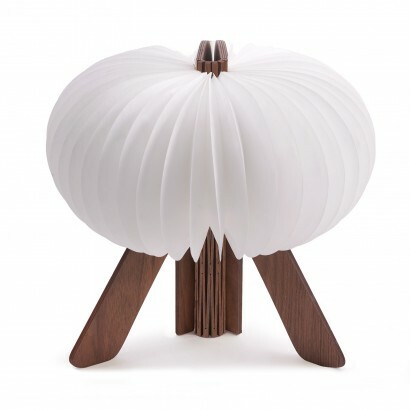 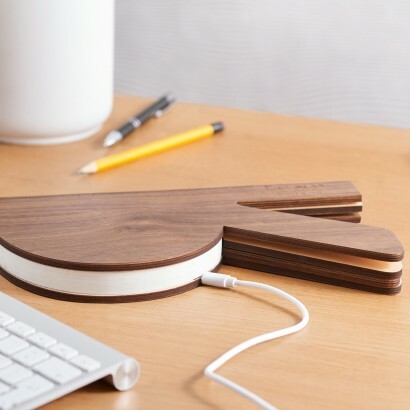 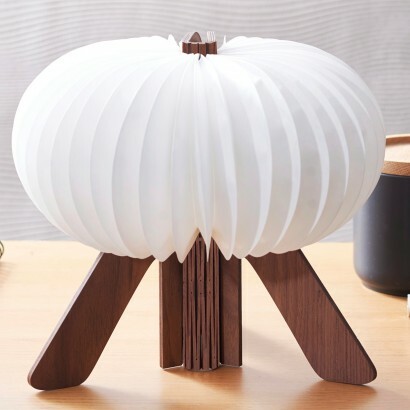 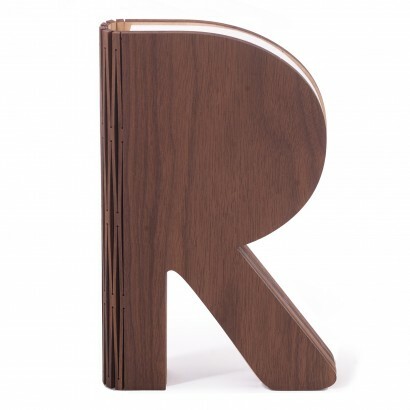 A real space saver, flip open the R shaped walnut decoration and a stylish lamp takes form to illuminate your space. 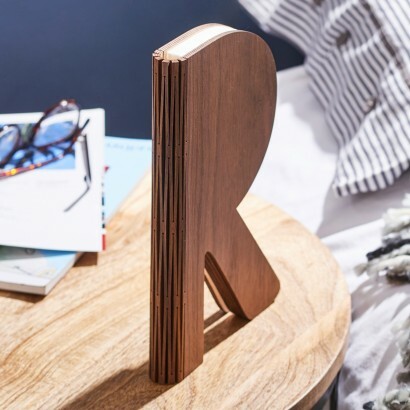 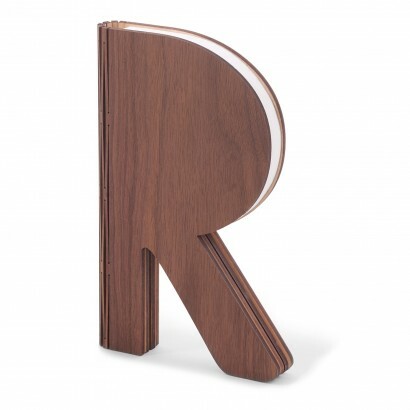 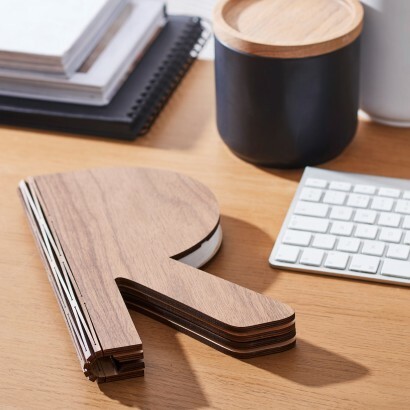 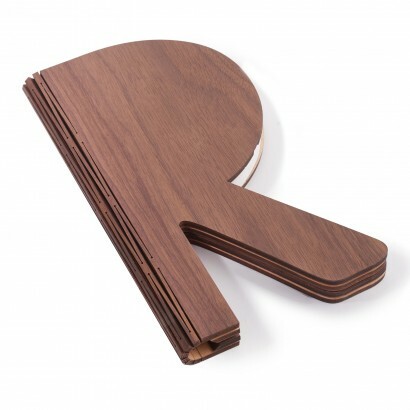 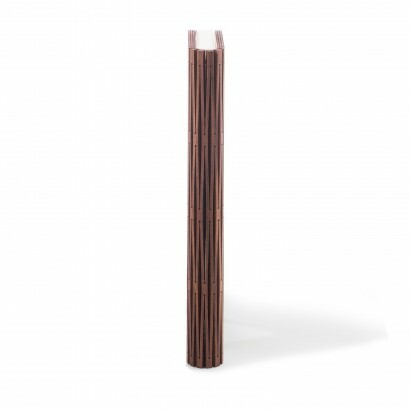 Sleek and contemporary, the elegant walnut backed R shaped decoration looks just like a wooden letter detail when closed but opens out to become a fascinating table lamp with two light settings; warm white and cool white that shines through a tear proof lantern of tyvek papers. 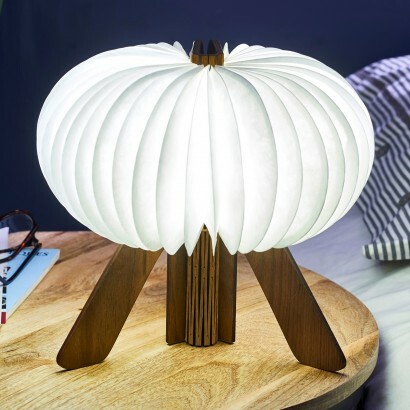 Fully rechargeable, this unusual lamp comes with a remote control included allowing you to choose the colour setting and the brightness of your lighting as the R Space shines with artistic flare.